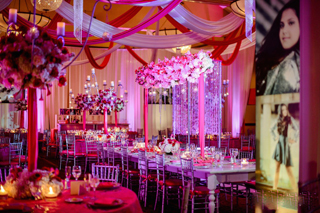 Design, Décor & Details is the event production and design division of Only Perfect Parties. We have an understanding that an event is an experience that should last a lifetime in the hearts and minds of you and your guests. Whether an Intimate Dinner, A Special Anniversary, Milestone Celebration, Corporate Event or Fundraising Gala, we will help you create an exquisite environment that will leave your guests remembering for years to come. 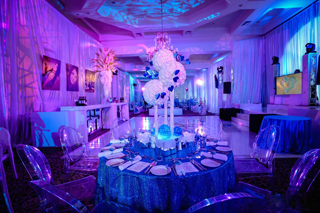 We will create an experience that is an expression of your event and brings to life the vision that lives in your mind. If you can dream it, we can achieve it! Collaborating with the best in the industry, Only Perfect Parties will turn your wildest dreams into reality with our event designs. Let us impress your guests with a chic elegant affair, dazzle them with a sophisticated gala, or amuse them with themed prop-decor and entertainment. No matter what design you dream of, Only Perfect Parties, Design, Décor &Details division will impact your guests and leave an impression never to be forgotten. 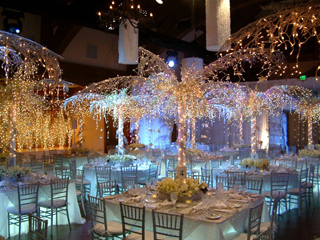 Design, Décor & Details provides production, design, and coordination for all of your special events. With services that span the entire social and corporate event designing spectrum, we also provide our clients with additional services that go beyond the ordinary and into the extraordinary. 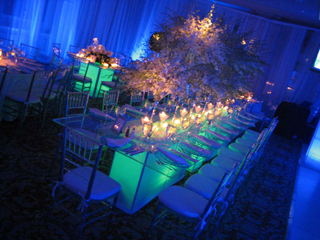 We work with you in developing and executing the theme of your event day from start to finish. From uniquely beautiful floral arrangements and settings to ambiant lighting and linen draping, our event design paints the dramatic details to ensure lavish style and beauty at your event. We create innovative and pampered environments for you and your guests. As creators, coordinators, and communicators of your event’s design and execution, we're very much in tune with the experience you're seeking. And we'll surpass it.